Ibertest has supplied two last generation electromechanical machines, which will be located in a modern laboratory in Ashgabat, Turkmenistan. Our client is a company in the construction, oil and gas sector, which offers the most modern solutions for the market of Turkmenistan, with the participation of national and foreign experts. 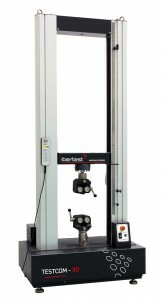 For this project we have manufactured our models TESTCOM-30 and EUROTEST-100, which have the necessary devices to perform tensile, compression, bending and shearing tests, equipped with long travel extensometer allowing to test materials such as plastics and rubbers. 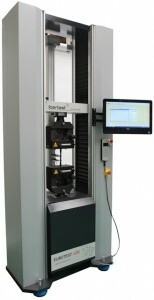 The wide variety of testing devices, easily interchangeable, covers a wide range of tests for all kinds of materials.